This garbanzo-based dip is quick and cheap. Plus, it's packed with protein, fiber, vitamin C and other nutrients. This video shows you how to whip together two hummus options — savory Roasted Red Pepper Hummus and nutty-sweet Peanut Butter Hummus. The latter is an unexpected twist that's delicious on apple slices or celery sticks. 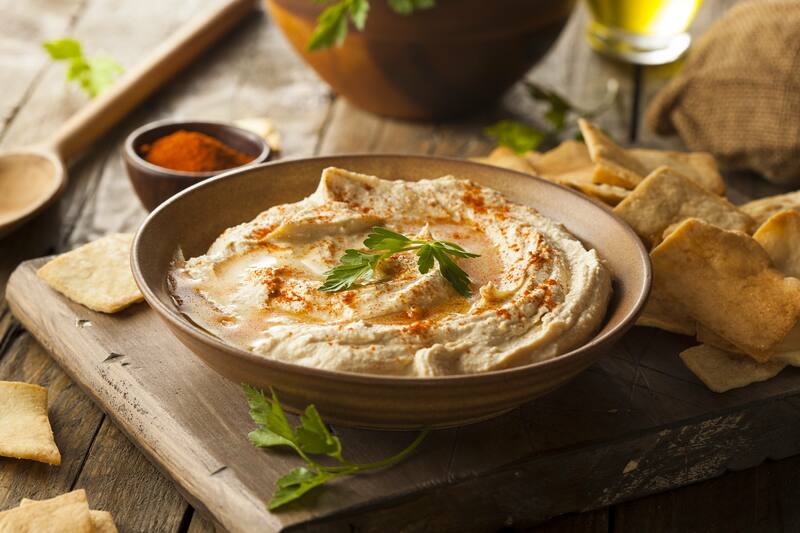 Watch: Snack smarter with homemade hummus. Journalists: The broadcast-quality video (1:11) is in the downloads.